Let's start with my favorite part: the adjustability. The driver head can be adjusted to your swing. The shaft adapter and hosel tilt 2 degrees off axis, which leads to eight possible lie angles. Nike tests show that eight different settings produce up to 45 yard of directional difference. This is not a sales pitch (because I'm not a salesman), but this is like having eight drivers in one. It's very simple to adjust as well. All you need is the wrench that it comes with. Make sure you read the manual carefully and you will have no problems adjusting to your preference. If you tend to slice, simply adjust the face into one of three closed positions. As you get better, you can adjust the club back to neutral or even open to prevent a hook. Also, don't forget if adjust it is intimidating, bring the club into any pro shop and have a pro help you. 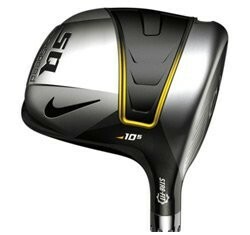 The only driver I would recommend more is the TaylorMade Lady R9 Supertri Driver. It's also aerodynamic and can be adjusted to a wider variance of face positions -- 75 yards vs. 45 yards with the Machspeed.